The number of new homes consented in Auckland in New Zealand increased by 28% in the 12 months to July 2018, the latest official data shows. They numbered 12,845 new homes, the second highest number of new homes consented for a year in Auckland since records began nearly 30 years ago, according to the figures from Statistics New Zealand. The data also reveals that new consents in Auckland accounted for 39% of all new homes consented in New Zealand over the latest year. Detached houses accounted for nearly half, some 6,039, of all new homes consented in Auckland in the latest year. An all-time record of 3,032 of townhouses, flats, and units were consented in the year ended July 2018. More new apartments and retirement village units being consented also contributed to this year’s near-record number of new home consents in Auckland. 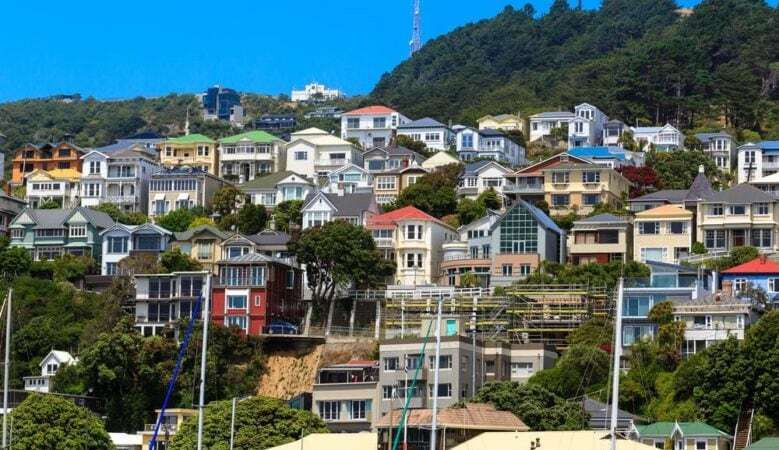 But overall throughout New Zealand the number of new homes consented fell a seasonally adjusted 10%, coming on the back of an 8.2% fall in June and a 6.7% rise in May of this year. ‘The number of new homes consented can be quite volatile on a monthly basis, particularly as the number of apartments consented tends to fluctuate a lot,’ said construction indicators manager Melissa McKenzie. ‘Looking at the longer term picture, we are seeing growth in building consents for apartments and townhouses, while consents for standalone houses have been quite flat over the past two years,’ she added. On an annual basis, 32,850 new homes were consented in the year ended July 2018, up 8% from the July 2017 year. The annual increase reflected more consents for apartments; townhouses, flats, units and retirement village units, up 29% for the three groups to a total of 11,843. The number of detached houses consented fell 1% to 21,007.